It’s just 5.56 centimeters long — about 2 inches — and only 5.7 millimeters in diameter at its business end. In its most common American variant, it weighs 12.3 grams. It can reach a muzzle velocity of over 3,000 feet per second, and it is designed to penetrate three-eighths of an inch of steel at 350 meters. It is, of course, a bullet. 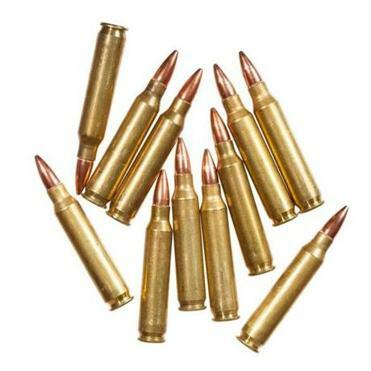 In 1980, after decades of development and negotiation, the NATO member states agreed to use this particular cartridge — and it is now one of the most common small-arms munitions in the world. The argument for such standardization is obvious: In combat, being able to share ammunition can make the difference between surviving a firefight and being overrun. The argument against standardization is that should one nation want to deploy another option — a more powerful bullet, for instance — it can’t. At least not within the confines of the alliance. 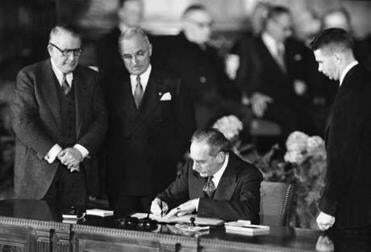 NATO has been a central pillar of US security policy since the Cold War. In 2016, candidate Donald Trump proposed upending that 70-year consensus, calling the alliance “obsolete” — a statement repeated by President-elect Trump on Jan. 15. But such a claim ignores what’s really lost when such common ventures break apart. An alliance, like any collaboration, doesn’t work simply because its members agree on a course of action. It requires much more: Standardization of equipment served as a force multiplier for Western armies against the Soviet Union. But when humans succeed in striving toward a common goal, much more than mere common gear is involved: practices, processes, and a shared vision of risk and reward. This cohesion creats powerful intellectual bonds and, over time, lead to the accumulation of knowledge. Stephen Kinzer: Is NATO necessary? Europe is quite capable of shaping and paying for its own security, but NATO’s structure remains in place. Read: After Orlando, prayers aren’t enough. The US needs fewer guns. Consider the scientific alliance through which a group of men set out to measure the weather. The story of what made the world modern is often told in heroic terms, tales of grand ideas, or battles, or inventions and inventors. Isaac Newton, Gottfried Leibniz, Galileo Galilei — these are the kind of figures remembered as the leaders of the scientific revolution. But a host of others built an intellectual infrastructure vital to the ongoing advance of science for over three centuries. At the heart of that effort: agreed standards for both material and habits of mind that have propelled the transformation in human knowledge over the last four centuries. Thomas Tompion, for example, is hardly as celebrated as Robert Hooke, “England’s Galileo.” But he built the first watches driven by the balance spring mechanism that Hooke had invented, which yielded far more accurate time-keeping than prior approaches. Tompion was hugely prolific — his workshop produced roughly 5,500 watches — but perhaps his most wholly original idea had nothing to do with the mechanical side of his designs. From the 1670s forward, Tompion inscribed numbers on each watch and other devices that emerged from his shop, in the first known use of serial numbers. In the 1670s, neither Tompion nor anyone else produced perfectly replicated devices. Serial numbers were thus not an assertion that each of his watches would measure time to a specific standard of accuracy. Rather, subjecting his creations to the rule of number advanced the possibility of such standardization, providing the first piece of data needed to ensure that one measurement matches another — to be confident a second is a second is a second no matter who is observing and no matter where the observation is taking place. On the pages of the Royal Society’s journal, though, these perfectly banal details coalesce into a more significant advance. Locke described his methods and approach, what instruments he used; how he used them; when, each day, he made his measurements; everything anyone would need to interpret his data or to observe on their own. That made Locke’s report more than a mere list of facts about local weather patterns in Essex. It described a method, a process that could produce new knowledge. The creation of standards, for equipment and for process, was and remains central to what makes science work as an institution, an enterprise, and not simply as a siloed exercise in individual curiosity. It was designed that way from the start: Locke got inspired to tackle meteorology when Robert Hooke published a call in the Royal Society’s journal, seeking volunteers who would buy instruments, calibrate them, and take weather data every day. To put this move into the jargon of the NATO alliance, Hooke set out to forge the scientific revolution’s own force multiplier. His army of citizen scientists committed to a shared use of the apparatus of inquiry — thermometers and the like — and to a social compact: how they would collect new knowledge (in scientific reports) combined with the obligation to share, to publish, all to come up with a picture of the natural world that no one of them could possibly have assembled on their own. 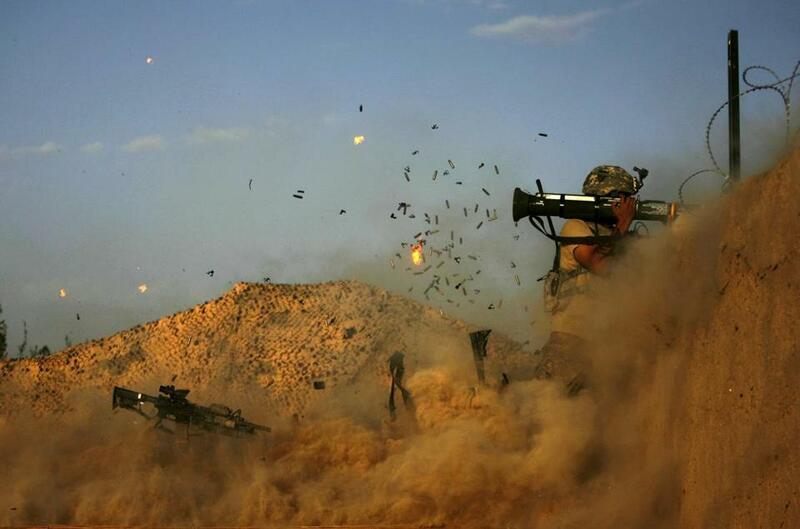 A US soldier with the 101st Airborne Division fires an AT-4 as Combat Outpost Nolen on the outskirts of the village of Jellawar came under Taliban attack on September 11, 2010. Fundamentally, NATO works in much the same way, however much its scale and complexity exceed Hooke’s network of weather watchers. The NATO round is an example of the more obvious parallel, the need to ensure that everyone’s tools work together. A common cartridge hits the highest level of cooperation — it is truly interchangeable. Much of the time, though, NATO allies look for interoperability, ways to ensure different systems can still function on the same battlefield, just as researchers from the 17th century onward must work out how to compare observations acquired on different instruments. Should the alliance shatter, all the social infrastructure that allows people to collaborate will break with it. Such interoperability depends on a huge number of often seemingly small choices. Tanks need regular refueling, for example, but NATO allies deploy several different types of tanks. So resupply operations have to bring not just the fuel, but various filters, too, so that one tanker truck can serve every piece of armor in need. When a battery dies? To get a jump from a European tank to an American one, soldiers must use a variety of cables and adapters. Such details matter — in action, lives may depend on having the right electrical connector — and given the amount of equipment used to fight modern war, there is a lot of specific hardware that has to be identified, agreed on, and deployed. But even so, this is the easier side of what it takes to make NATO go. The more complicated and more important task: forging a common approach to thinking and communicating across the alliance. Common material is important, but what’s vital is a common methodology, a common language. Sometimes, it’s purely vocabulary at issue. “You have to be proficient in language — in English — to have a common perspective — particularly in combat,” says Colonel Ivan Mikuz, formerly a NATO strategic planner, now the Slovenian defense attaché in Washington. 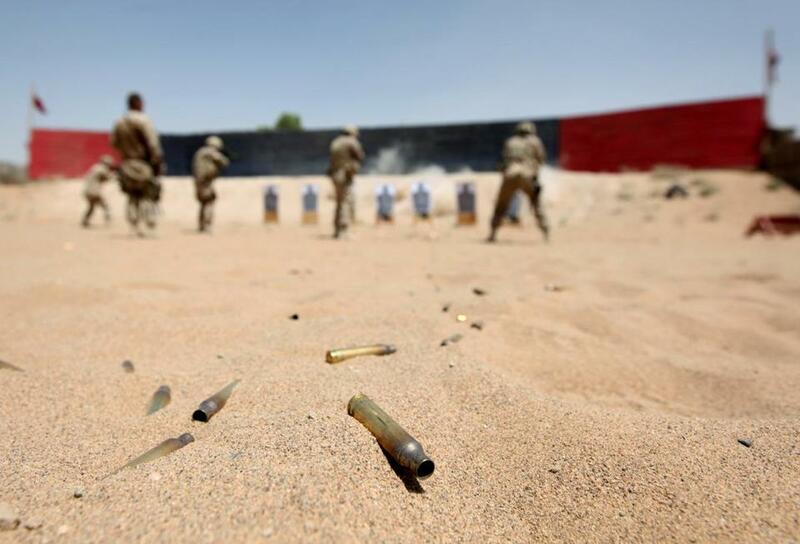 Cartridges lie in the sand as Canadian Task Force Kandahar soldiers take part in a shooting exercise at Camp Nathan Smith on June 7, 2010. Behind such strategic questions, though, there’s this to consider: Should the alliance shatter, all the social infrastructure that allows people to collaborate will break with it. On the most obvious level, different nations could, for example, begin using weapons that don’t fire the NATO round. There isn’t an infinite supply of jumper cable adapters. More deeply, the human systems, all the formal and informal lines of communication NATO’s officers and enlisted forces have worked out over the decades can fall apart much more quickly than they can be remade. How long would it take before a wounded soldier dies en route to care because the habits embedded in that nine-line form no longer hold? On April 12, after a meeting with the NATO secretary general, President Trump announced, “I said it was obsolete. It’s no longer obsolete.” While the ease with which Trump stuck his back-flip doesn’t yield much confidence, for now it seems the United States intends to remain in the alliance. But even as a thought experiment, recognizing what truly is required to sustain complex human collaborations suggests how much there is to lose. Over the three centuries since those words appeared, we have done just that, and so much more. We abandon the kinds of connections that produce such accomplishments at our peril.